So you’ve decided to embrace the social media side of things and you’re finally going to bring something to the social party. Good job! It’s never too late and in this blog we hope to give you a quick rundown on how to set up a Facebook company page and one or two pointers to keep in mind before you set off. While there is a massive 845 million active monthly users on Facebook you mightn’t have been one of them until now, or at least not in a business sense. So here’s the lowdown, businesswise social networks are designed to foster human interaction, not to promote products. Why bother so, you ask? Well think of it like this, have you ever seen a businessman hold out his hand expecting clients to throw their money at him? No, you wine and dine them, enticing them into working with you because you’ve shown them how pleasurable it is to work with you. It’s important to keep this in mind as you develop your online presence especially in relation to Facebook. But hold on a sec, you don’t even have a page yet! 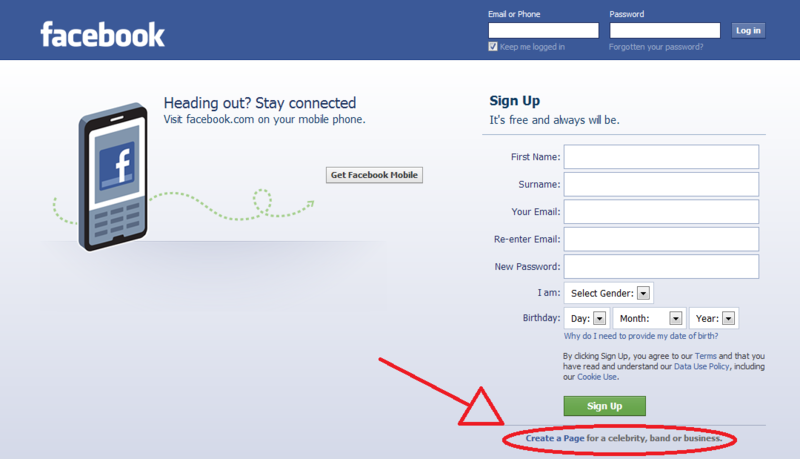 First things first, in order to set up a page you need to have a personal page to set up a Facebook company page one. While your colleagues might seem like the most dedicated workers in the world, to avoid yourself hassle later down the line, it’s best to set up a private profile purely for the purpose of the company page. There’s no need to add all your friends to this page too it’s just so you have an independent profile to run the company page. So let’s get through the set up. 1. In the bottom right of the Facebook homepage (below the ‘Sign Up‘ button) it should read ‘Create a Page for a celebrity, band or business’. 2. 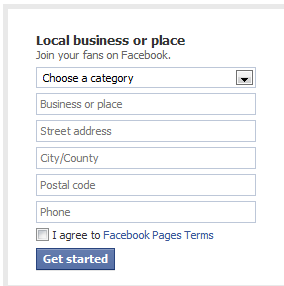 Now so, select what type of business you are from the 6 options and then a drop down menu. Be sure you fill out your page name (usually the name of your business). 3. You should already have a Facebook page for the company page so let them know that and login with your Facebook account details, from the page that you’ve already set up. 4. This is now your new page and simply click ‘Edit Page’ to do with it as you will. We decided that an obviously fake name like "Reuben Murray Whelan" would be best for the admin starting up the page. 5. Last but not least if you want to add anyone else as an administrator just click ‘Manage Admin‘ and ‘Add Another Admin‘. 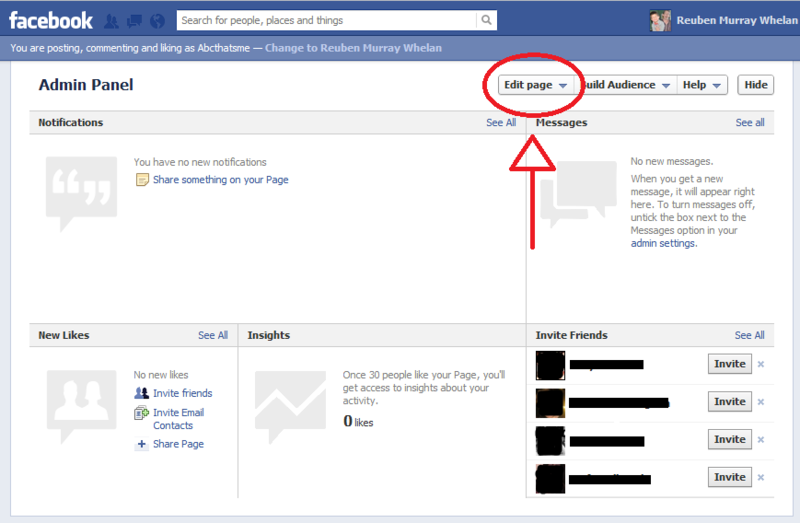 Don’t forget whoever you want to add as an admin must have already ‘Liked’ the page. Now all that’s left is building up a fan base, we’ll shortly have pieces up about Facebook ad campaigns and how to use Facebook from a company page, but for now just play around with it and see what you discover yourself.